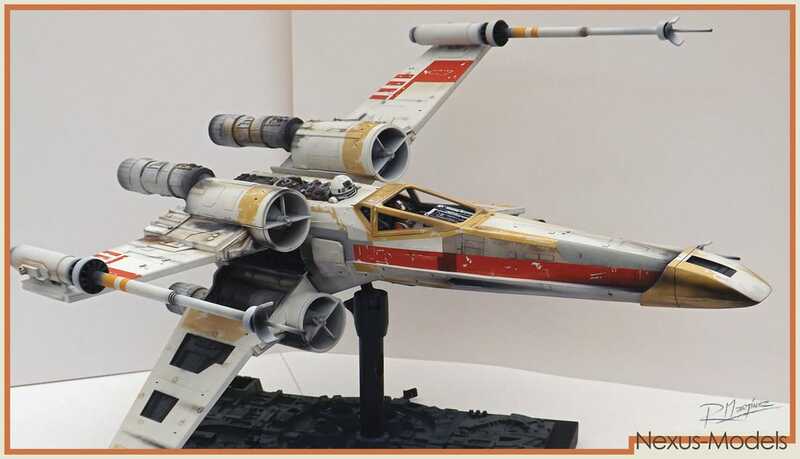 This new 1/24th Studio Scale X-Wing model is a totally different build from the one I did back on 2010. This one is far more accurate in shape and details than my previous build. All this improvement, especially on the fuselage’s shape, is thanks to the excellent reference material on the original ILM filming models that I’ve gathered since I released my first X-Wing back in 2010. 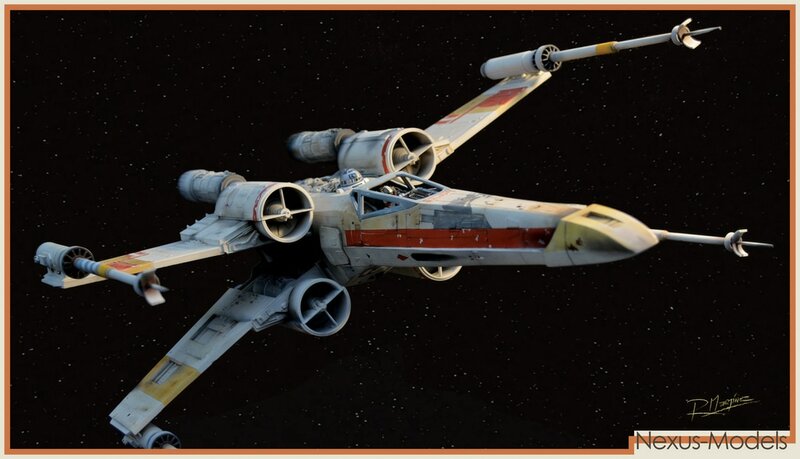 I had always wanted an X-Wing as closest as possible to the ones seen on the Star Wars films, but I also dreamed about an X-Wing with automatic wings. I think it is the coolest thing an X-Wing model can get. But how to do it in the very limited space inside the model’s fuselage? This was quite a challenge to design, but it all became clearly possible when a friend told me about the Arduino Nano chip boards. This chip boards are very small, and can be programmed to command several things through its pins. 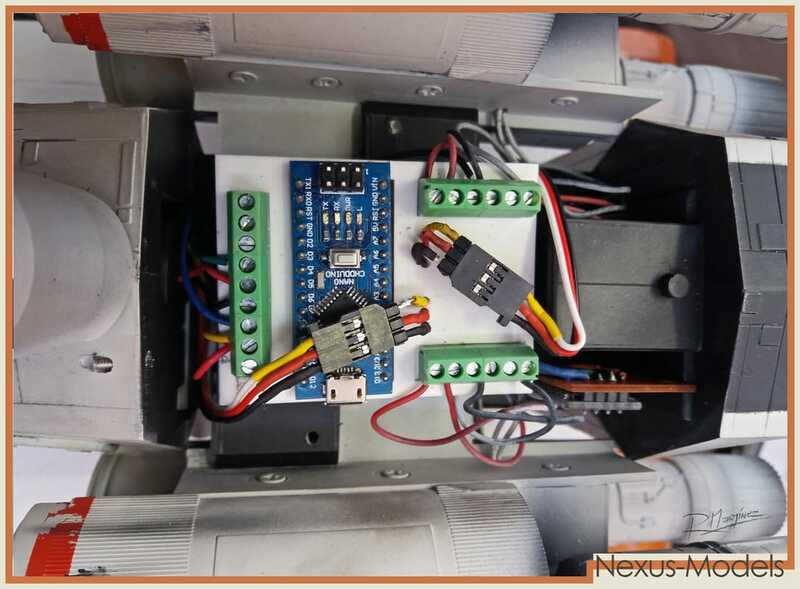 So the idea was born to build this new X-Wing with a more accurate shape, and also with electronic powered wings, using an Arduino Nano chip, connected to a Bluetooth antenna that would receive a signal from an application written for any Android powered cell phone or tablet. But programming software and Android Apps is not my thing. So I had to work with my friend Francisco Henseleit. Whenever he had some spare time we gathered to write and test this little program. I had to choose the electrical engines that would move the 2 wing sets and work out the mechanics of the project. To make a long story short, it took as years to find the time between my friend’s job and mine to make the X-Wing work. At the last moment, my brother in law, one of my best friends in the world, and a very clever guy, finished writing the program and the App as soon as he had time after finishing his university studies. After months of work, and two discarded fuselage builds, I was able to finish the X-Wing’s fuselage. 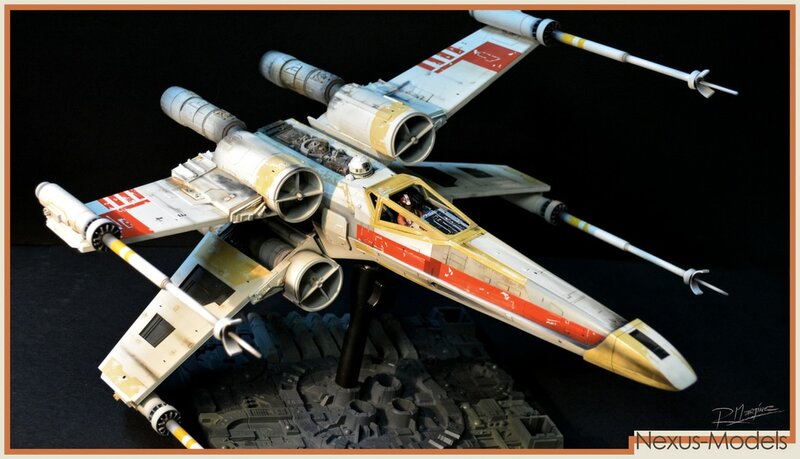 After all the hours and hours spent researching and studying the ILM’s X-Wing pictures I can say it is almost impossible to make “the” perfect X-Wing, as all the original filming models are so different between them, in ways I just cannot understand how models coming from the same master patter can be so different. But I can say this fuselage looks really cool, and very, very close to the original ones. It has been a very long project, that sometimes I wished I would have never gotten into it!... but I love X-Wings! 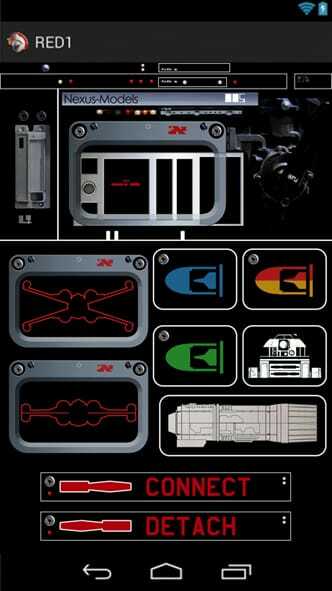 So here are the first pics of the first two Electronic X-Wing resin kits, a Red 2 and a Red 4. I hope you enjoy them.